Specialising in all things oak. 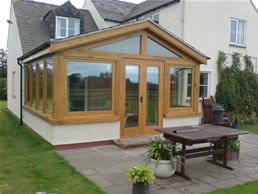 We are a Shropshire based company that offers oak construction to a very high quality and craftmanship. We strive to achieve complete customer satisfaction on every job that we undertake. Oak is, by any measure, a wonderful wood to create with. It has been used in all types of construction, furniture manufacture and even boat construction from when man first discovered his ability to craft and work this unique material. Over the years it has been enjoyed by a select few but nowadays it is in reach for a great many people to enjoy, whether it be a bespoke piece of furniture, kitchen, floor or windows and doors or a building. By using the very best materials and by using the timeserved skills of a craftsman, we believe that we do the best possible job. 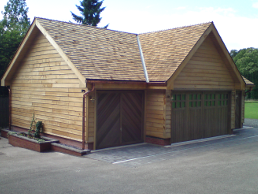 Whether you want a complete oak, timber framed, building or a softwood framed building clad in oak, we are the people for you. As every building is tailor designed to the clients specific requirements, we can do the out of the ordinary! 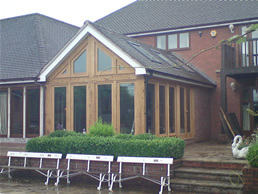 We have a wealth of experience in solid oak conservatories, oak framed extensions, oak kitchens, oak flooring and oak windows and doors. We take your ideas and formulate them into solid designs and drawings. 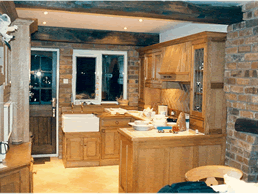 If required, we then take these designs through both the planning and building regulations processes. Finally we can then build the design and finish it to the clients exact specification. Using traditional methods, the frames for these structures are constructed using mortice and tennon joints, pinned with oak dowels. These fashioned joints allow the frame to move whilst the oak dries out. With frames built from beautiful, air dried, oak and clad in oak boarding to stand the test of time, these buildings enhance any garden. Whatever your requirements and preferences may be, we will work with you to achieve the result that you are looking for. We can make your dream kitchen a reality. In stylish oak, your asperations can be formalised into a design that you can be proud of. Our craftsmen can bring the seeds of your ideas to life. We are not constrained to standard sized units as everything is bespoke, so we can make the kitchen that best fits your ideas and your space rather than constraining your ideas to fixed sizes. We can offer new oak windows made to your exact requirements and fitted to the very best standards with the latest specification in glass. Finished in natural oak or in a painted finish to a colour of your choosing. We can repair the plasterwork where required and fit new window boards. Doors and gates can also be made to fit your requirements. 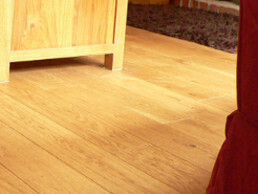 We can supply and fit beautiful oak flooring to exacting standards. Whether it be oak boards, fully engineered boards or parque, we can fit the floor that's right for you. With our underfloor-heating specialist, we can prepare and fit from the start of the project, i.e. laying the sub-floor concrete, adding insulation, laying underfloor heating and finally installing your beautiful new floor. Finishing to the best surface to suit your lifestyle.